Windows wallpapers are the easiest way to customize your computer. 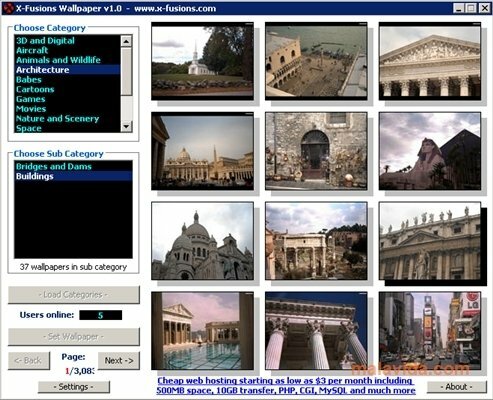 More or less everybody has an image that they like, photos of a landscape or a design that has been specifically created to be a desktop wallpaper, but looking for new images to change them can be bothersome, so X-Fusions Wallpaper can come in very handy to find good images easily. 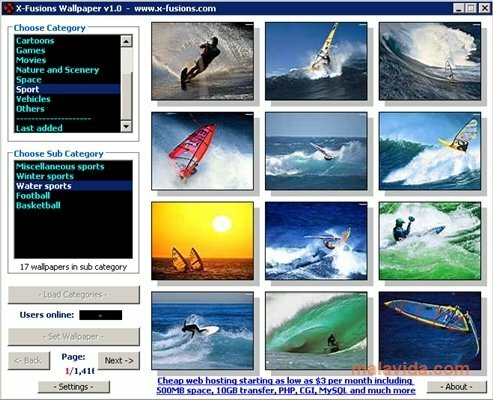 This software connects to the Internet in search of big images that can serve as desktop wallpaper, furthermore, it organizes them by themes, being able to find wallpapers about cars, sports, animals, space photos or even films. 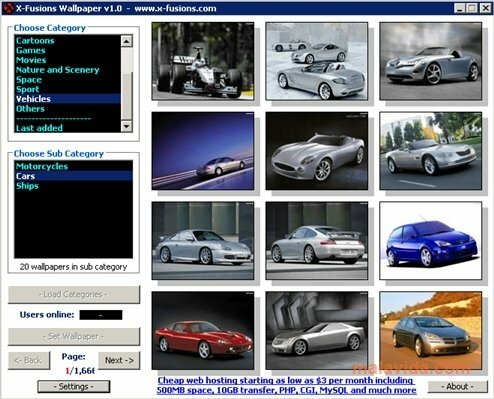 There are more than 20 categories perfectly organized so that we can find the best image for our desktop wallpaper. 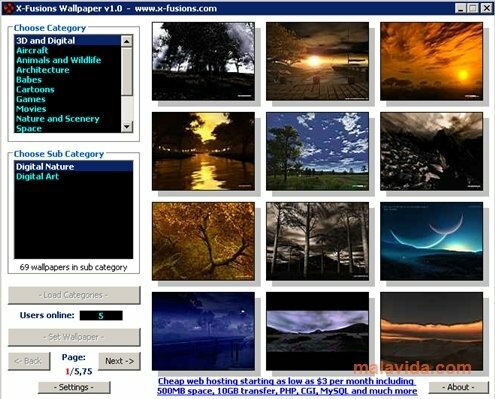 All the wallpapers have a great resolution, so that they work perfectly on any screen, furthermore, each category indexes a large amount of images, reaching more than 1,000 in the most popular themes, so if you want to easily find wallpapers, X-Fusions Wallpaper is the perfect application.